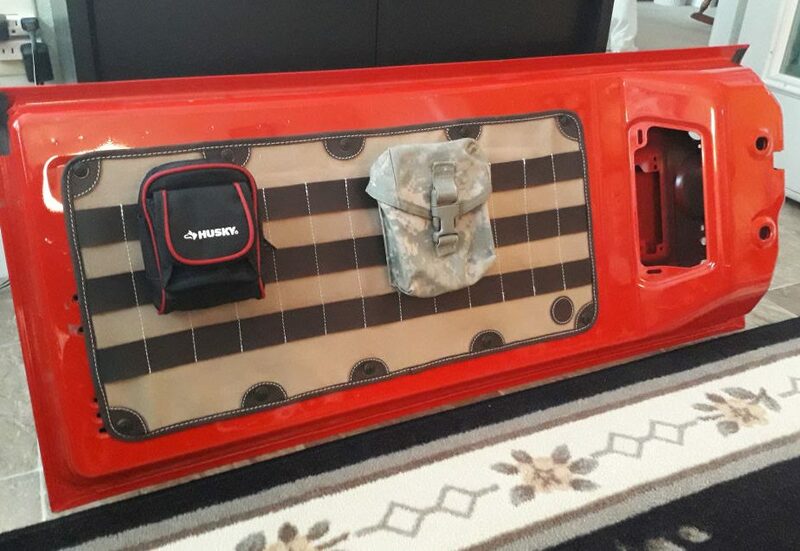 Are you looking to organize with a custom-built storage solution on your JK Jeep Wrangler tailgate? 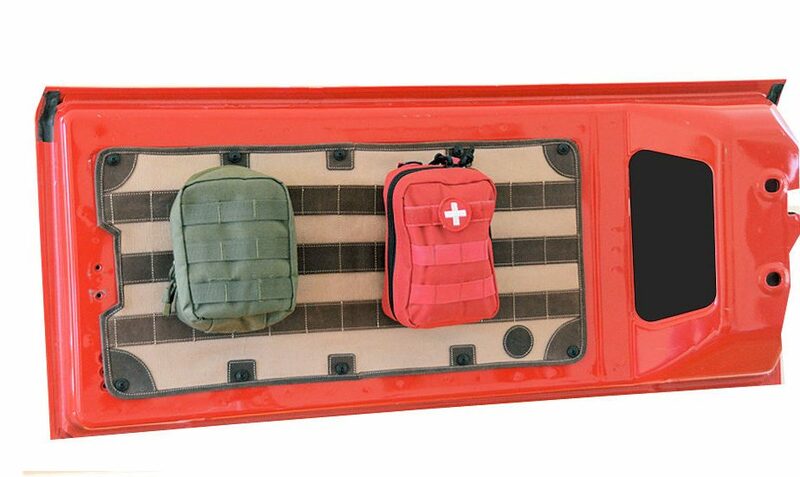 Retrofit Offroad is proud to present the Overland Outfitters HD MOLLE TAILGATE PANEL from its SHERPA collection. 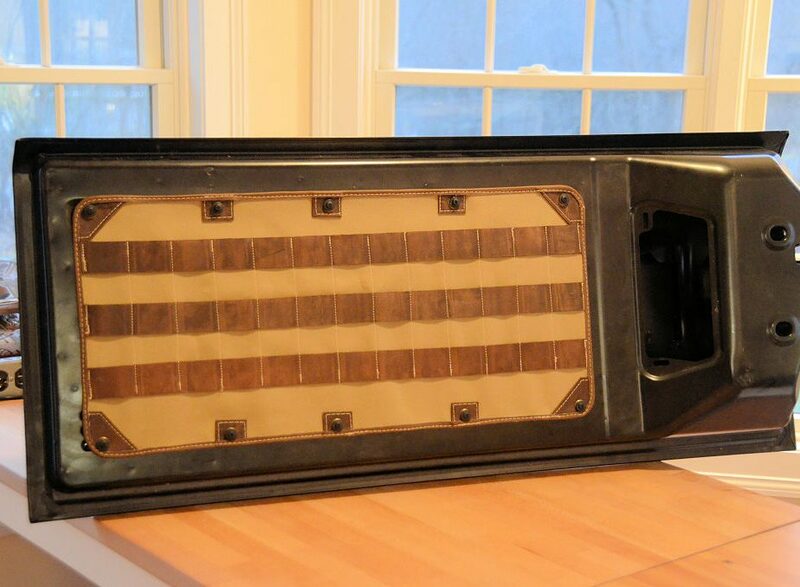 This panel is designed to fit all years Jeep JK Wrangler. 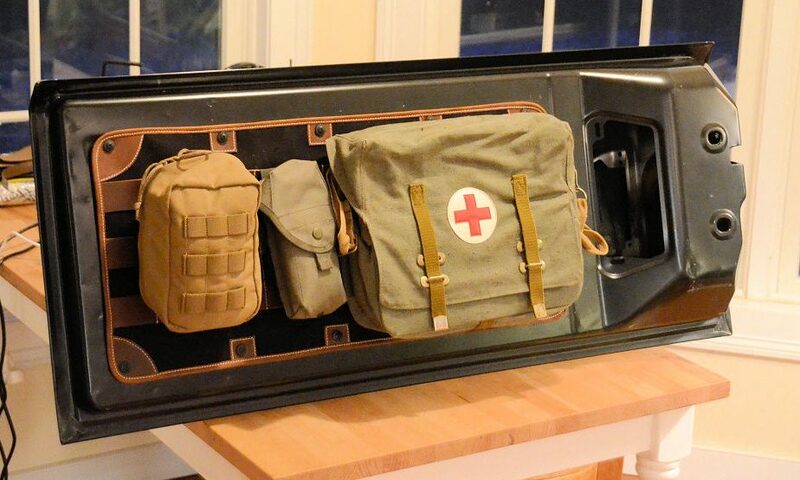 It will surely improve the look as well as the functionality of your Jeep as it is handcrafted in heavy 22 Ounce canvas with leather and brass reinforcement has better load carrying ability compared to regular MOLLE. We understand how important it is to not have any extra holes drilled in your expensive Jeep. This is a no drilling installation and can easily go on your Jeep using factory holes in the tailgate. 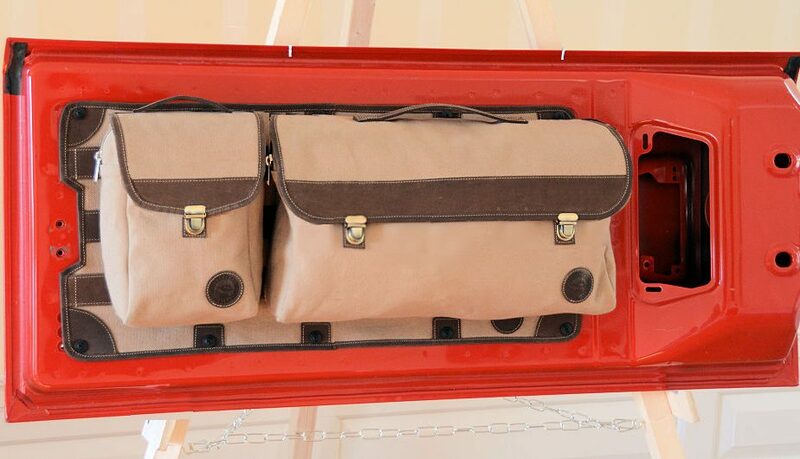 Available in 2 solid colors , Tan and Black this multipurpose product can be teamed up with either SHERPA Grab-and-Go bags, MILSPEC MOLLE gear or standard MOLLE pouches or clip on tool holders as used with many contractor tool belts to make it more functional. This system will surely add to your Jeep ownership pride. • Heavy duty construction, hand crafted in canvas with leather, brass and Nylon reinforcements. 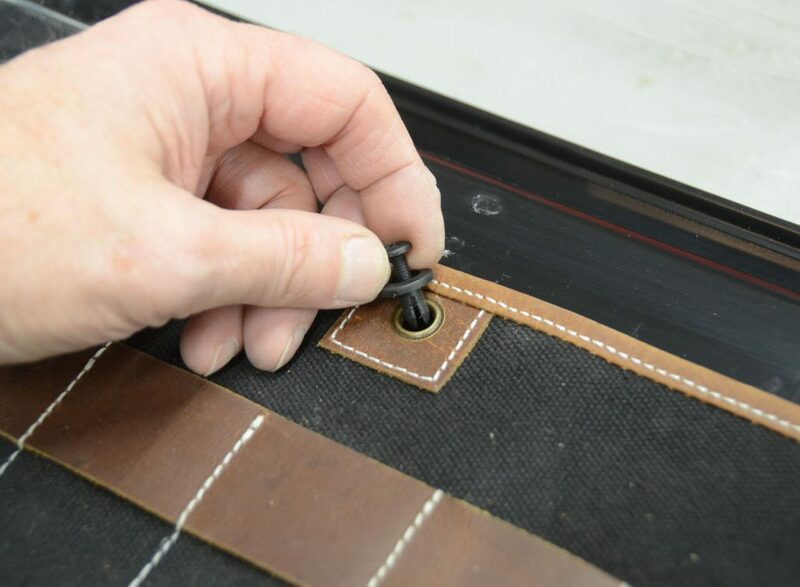 • Panel installs in minutes with no drilling required using factory holes in the tailgate. 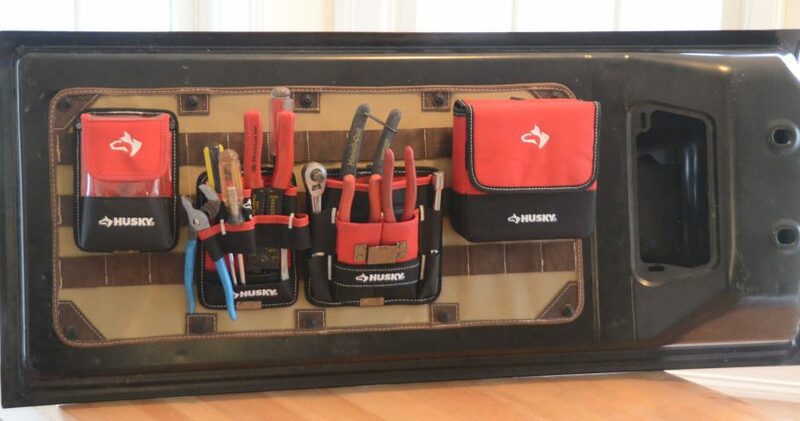 • In addition to supporting SHERPA Grab-and-Go bags, MILSPEC MOLLE gear and standard MOLLE pouches, clip on tool holders as used with many contractor tool belts can be used as well. 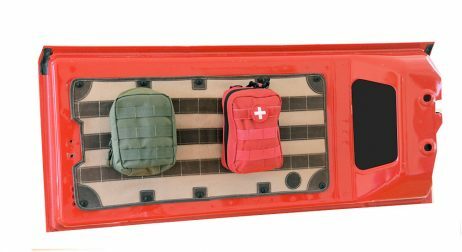 • Overland Outfitters HD MOLLE Tailgate Panel fits all years Jeep JK Wrangler. Easy Installation. Installs in minutes. No drilling required. Fits all Jeep JK and JKU tailgates with NO drilling! Fits 2007, 08, 09, 10, 11, 12, 13, 14, 15, 16, 17, 2018 model JK Wrangler tailgates.